Best Scrubs for Oily Skin & Blackheads in India: Our Top Picks! Oily skin is prone to open pores and blackheads which require through cleaning to prevent the pores from getting clogged. As we all know that clogged pores may lead to acne formation, blackheads, dull skin and accumulation of dead skin cells. Also the dust, dirt and pollution play another role in congesting the pores as well. All these factors lead to excess formulation of sebum. Thus, it is necessary to exfoliate the skin twice or thrice a week to get a skin smoother, softer and clearer. The skin looks more polished and free of every skin problems. Exfoliation not only helps many skin problems, it also increases blood circulation, which in turn helps to achieve healthy and glowing skin. In fact, weekly exfoliation will drive away tan and pigmented skin. Overall, it has various benefits. 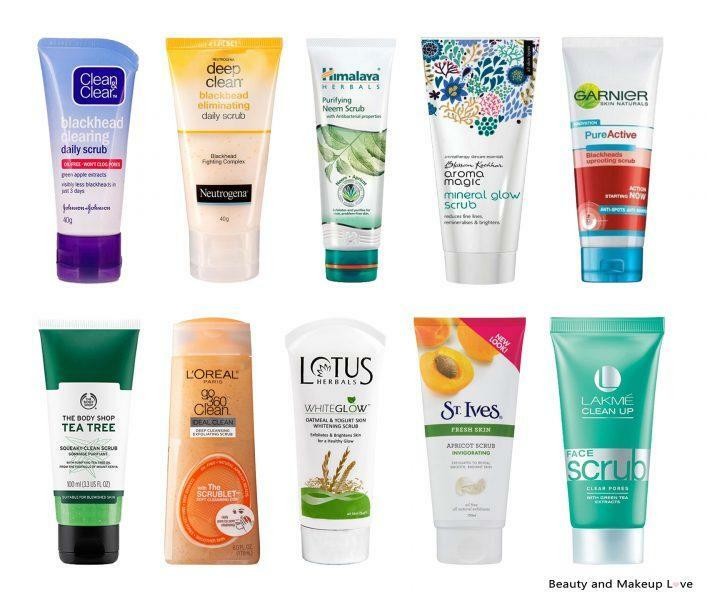 Today we have listed out the best face scrubs for oily skin and blackheads available in India. Best Scrubs for Oily Skin & Blackheads in India Continue reading Best Scrubs for Oily Skin & Blackheads in India: Our Top Picks! Posted on November 20, 2016 Author SanchitaCategories Best of the Best, ScrubTags Beauty Blog, Best Face Scrubs, Best Face Scrubs in India, Best Scrub for Dead Skin Cells, Best Scrub for Whiteheads, Best Scrubs for Acne Prone Skin, Best Scrubs for Blackheads, Best Scrubs for Dry Skin, Best Scrubs for Dull Skin, Best Scrubs for Oily Skin, Best Scrubs for Sensitive Skin, Best Scrubs in India, Indian Beauty Blog, Indian Fashion Blog, Indian Lifestyle Blog, Indian Makeup Blog, Makeup BlogLeave a comment on Best Scrubs for Oily Skin & Blackheads in India: Our Top Picks!